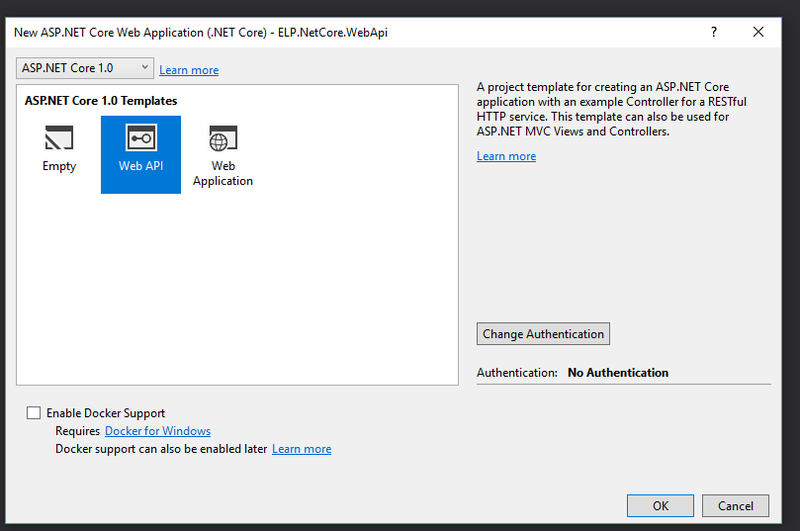 In this post I would like to show you how to create ASP.NET Core project using Visual Studio 2017. 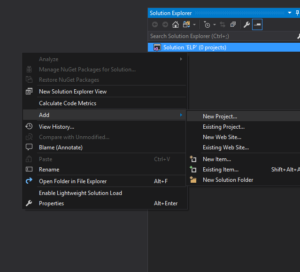 I’m using VS Community RC edition, but it’s not so important, you can use different edition. 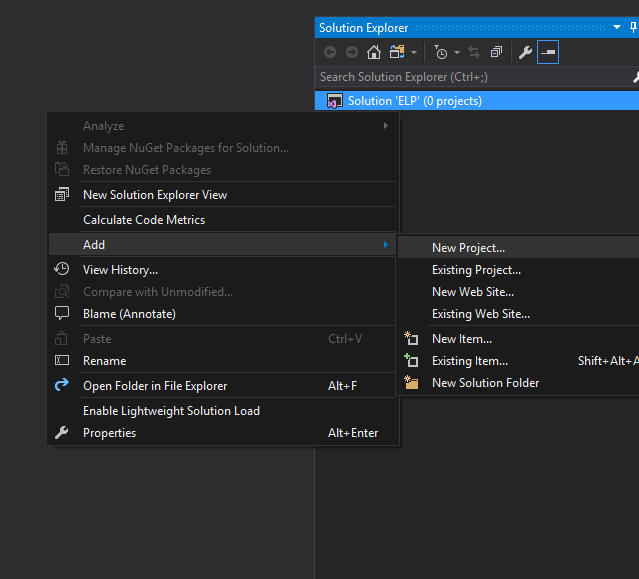 So, let’s create new empty solution and then add new Project. 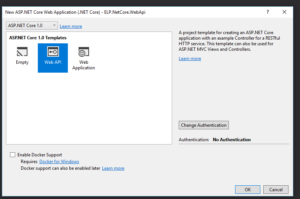 I want to create ASP.NET Core Web API project. Let’s choose correct template then. 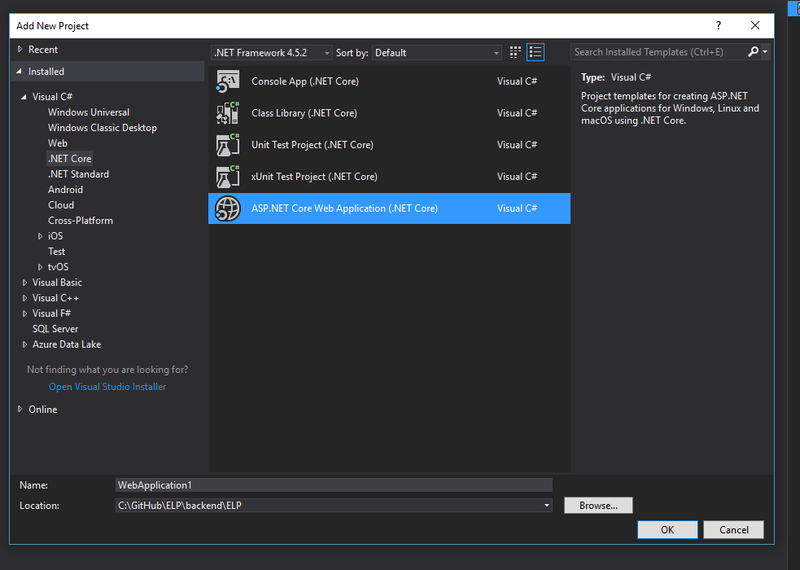 You will see new window where you can choose ASP.NET Core Template. I want to create Web API so I’m choosing it. You can choose authentication on the right hand side (Work or School Accounts or Windows Authentication), but I don’t want it. There’s also one very interesting feature here, look at the bottom of this window – there’s option to enable Docker support – WOW, but we will take a look at it maybe later 🙂 Yes, docker is also a thing that I want to learn about in practice. Don’t worry, it means it’s fine 🙂 Project is ready, we can start to work on our API. 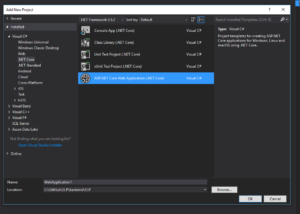 Posted in ASP.NET Core, Daj się poznać 2017, ELP, Get Noticed 2017, Programming on Marzec 3, 2017 by Jakub Skoczeń.